Learning to build your future is a skill based activity, like playing the piano, and without instruction and consistent practice you won’t be very good. However, with the right coaching and your commitment, you can become the master of your own creative mind. Courses in FDT are currently available in the Los Angeles and Atlanta area. Group Instruction – Ten once weekly 90 minute sessions where the basic principles and skills of FDT are taught in a class room type setting. No more than 10 people per group. Group Coaching – Ten once weekly 90 minute sessions where participants have the opportunity to apply the principles of FDT to their own lives while receiving direct coaching and feedback. 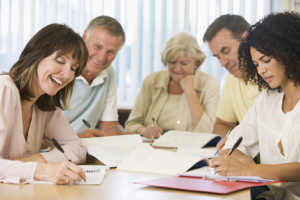 To participate in group coaching you must also be enrolled in the group instruction course. Individual Coaching – For people who wish to master the skills of FDT, individual coaching is also available on an hourly basis. It is recommended that individual interested in individual coaching first participate in the group instruction course. To sign up for group or individual coaching please go to the contact page. 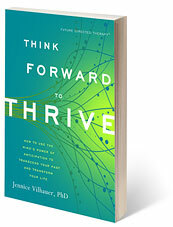 If you do not live in the Los Angeles or Atlanta area and would like to learn more about FDT, the book Think Forward to Thrive, which is a step by step skills workbook for learning the principles of FDT, will soon be available.